She said risks to the outlook were mainly external, including "increased global trade tensions, turbulence in global financial markets or a pickup in regional geopolitical tensions". "The key challenge facing policymakers is to press ahead with the carefully-planned structural reforms with maintaining macroeconomic and financial stability," Ustyugova said. 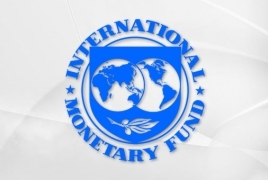 The IMF supports the "ambitious" reform plan of the government led by Prime Minister Nikol Pashinyan, who came to power in a peaceful revolution last spring after weeks of mass protests against corruption and cronyism. The IMF said in February it had reached a staff-level agreement on a $250-million three-year precautionary stand-by agreement with Armenia "to support the new government's reform plans and strengthen resilience against external shocks". 35 foreign representatives of Business Armenia in 24 countries ensured investment memoranda of $14 million in the past year.